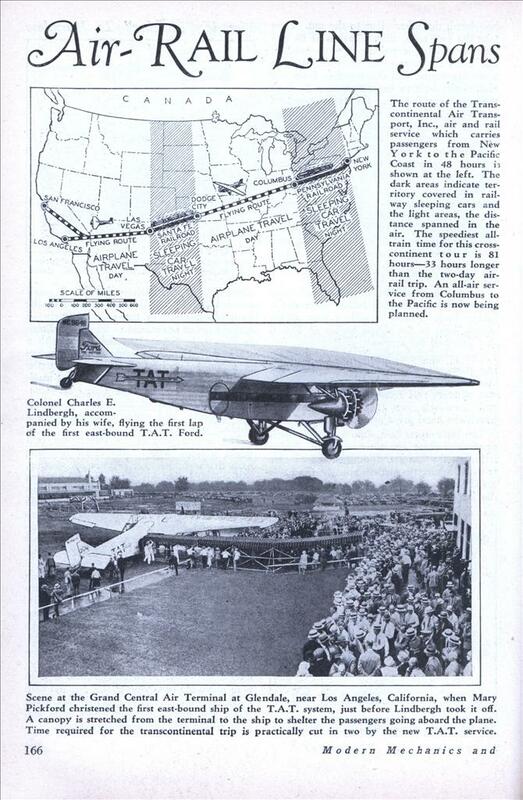 RECENT inauguration of regular 48-hour New York to Los Angeles or San Francisco air-rail service by the Transcontinental Air Transport, Inc., in which the Pennsylvania railroad is financially interested, is interpreted as the outstanding commercial aviation development of 1929 in the United States. The 48-hour trip by air-rail across the continent is compared to the 81-hour trip by fastest all-rail routes. And scarcely had the T.A.T. been launched than plans were under way for reducing the time. The T.A.T. is expecting to offer a supplementary service which will be all air from Columbus to the Pacific Coast. Patrons of the T.A.T. can now board the “American,” a de luxe limited train of the Pennsylvania railroad, in New York in the early evening, spending the night in a sleeping car. In the morning they are transferred to a waiting airplane in Columbus, Ohio, and a daylight flight is made to Dodge City, Kansas. Stops are planned en route at Indianapolis, St. Louis, Kansas City and Wichita. After dinner at Dodge City an Atchison, Topeka & Santa Fe trail takes the passengers on another night journey in a sleeper. At Las Vegas, N. M., the final lap by air either to Los Angeles or San Francisco, arriving late that afternoon. Efficient terminals have been established along the route, motor-car tenders effect the transfers from trains to airplanes. 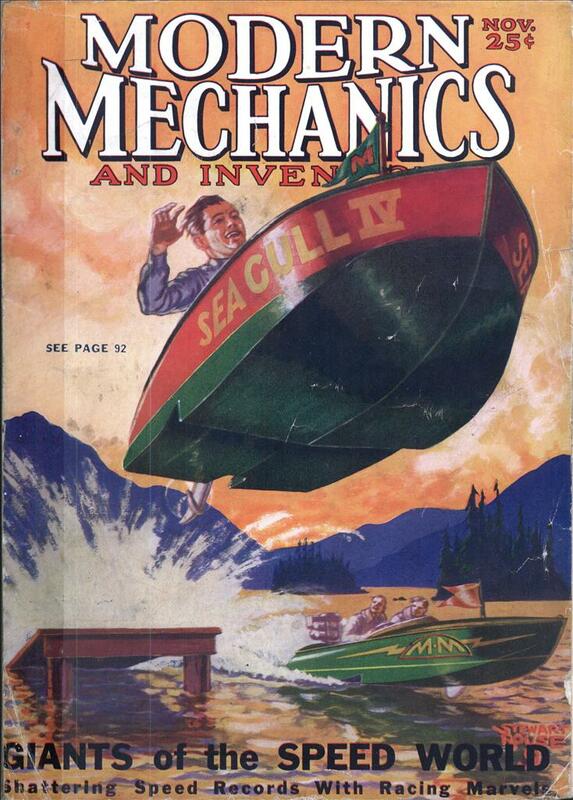 The ships are the tri-motored Wasp-powered Fords. And these ships are piloted by a corps of 34 pilots. The first pilots secured for the corps all had at least 3,000 hours in the air with at least 500 hours on tri-motored planes, and relief pilots had nearly as good records. The service is expected to prove valuable to business men and others to whom time is money. Before somebody looks at the map and wonders when Las Vegas moved – there are two Las Vegases, and that’s the other one. The Grand Central Air Terminal in Glendale was closed in 1959, but the terminal building is still there, and the main runway is now used as a side street. Passengers took the train in Pennsylvania because the railroad owned part of the route. They took the train from Dodge City to Las Vegas because there weren’t yet passenger aircraft that could economically and safely fly passengers over that stretch of highland without an interim stop (and there were no airfields between those two towns at the time). I see you still managed to post to the blog after the ginormous beer dinner and an hour drive home. That’s dedication. Might as well, I suppose. I was up until 12:30am with indigestion. If one goes to the Amtrak concourse in New York’s Pennsylvania Station there is a little display near the “Club Acela” lounge commemorating this service.